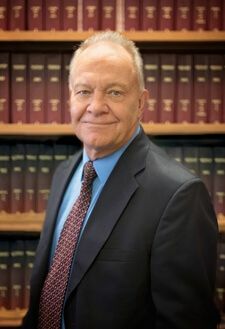 The attorneys at Wagner Law, LLC provide personalized, honest, and effective advice for victims of auto accidents and other serious injuries in Wisconsin and Minnesota. With a focus on direct, individual attention to our clients and a tough stance against insurance companies, we help injury victims obtain the compensation they deserve. When you or someone you love suffer injuries in a car crash or other accident, it can be a stressful and confusing time. The accident may leave you and your family to manage a difficult physical and emotional recovery or even grieve the loss of a loved one. To make matters worse, medical bills will continue to add up and insurance company representatives can become a nuisance with non-stop calls. All of this can become overwhelming without legal representation. When you hire Wagner Law, LLC, you can focus on your recovery, and we will take care of the rest. 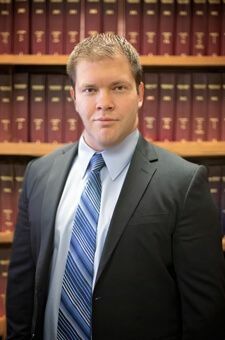 At Wagner Law, LLC, attorneys Luke Wagner and Mike Wagner are dedicated to providing Wisconsin and Minnesota accident victims with the personal attention and tenacious representation necessary during these difficult times. Our purpose is to benefit our clients, no matter how large or small their case may be—and we take this responsibility seriously. Our legal team has a well-earned reputation for aggressively protecting legal rights, and we are not afraid to stand up for an injured person, whether that means negotiating with insurance companies or taking a case to trial. Additionally, our attorneys are licensed in both Wisconsin and Minnesota. The motor vehicle injury laws in each state vary significantly, making an injury case especially confusing for commuters, students, and all those who travel. With dual law licenses, our legal team is exceptionally prepared to address the unique details and legal complexities of accidents that occur between drivers and passengers from a different state than where the motor vehicle collision occurred. When you reach out to our injury law firm, you will find our attorneys take the time to answer your questions and explain your rights. There’s no screening process by staff at Wagner Law, LLC—our lawyers provide direct, prompt communication between attorney and client so you know exactly where your case stands. Your injury case is important to your family, and our attorneys are here to provide the guidance that will help you be successful both now and in the future. Call our Menomonie office today or take a moment to fill out the contact form on this page to get in touch with an attorney for a free consultation. Personal attention and frequent updates. Our attorneys always take the time to speak directly with clients on the phone or in person from our office in Menomonie or Eau Claire. There is no communication barrier between client and attorney at Wagner Law, LLC; we respond personally to all phone calls and emails. We provide regular updates and copies of correspondence regarding your case. Direct, honest advice. We are always courteous and straightforward about the outlook for your case, and we won’t waste your time. Sometimes, after fully discussing a potential claim, our attorneys determine that the facts simply won’t support a case, and while it may be frustrating, many prospective clients appreciate our thorough and honest approach. Experienced trial preparation. A quick, small settlement may be the easy way out for others, but the lawyers at Wagner Law, LLC are not afraid to take your case to trial if needed. We have rightfully earned a reputation as aggressive, ethical trial lawyers, and if insurance companies refuse a fair settlement, we do not hesitate to fight for our clients’ best interests at trial. Very knowledgeable attorneys. The best around!! Professional and friendly. They go the extra step for you. Go check them out for your legal needs.Mary S.
It was a very difficult and complex case between four different insurance companies.Karen C.
I would highly recommend Wagner Law, LLC.Nicole S.
Posted on 10/31/2017 Bus Accidents Can Be Complicated and Involve Many Parties. Our lawyers thrive with complicated cases. ?What is Underinsured Motorist (UIM) Insurance? ?What is a Contingent Fee? ?What’s the difference between a workers’ compensation claim and a third-party claim? Posted on 01/16/2018Motor Vehicle Collisions - Wisconsin Who Pays Medical Bills?